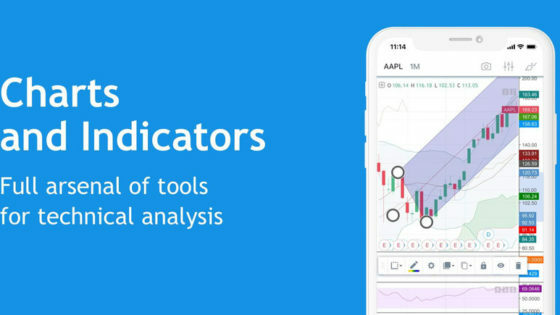 The TradingView Chart is the most powerful and customisable chart for Technical Analysis you can ever find on any Trading Platform, either desktop or online. In February 2018 TradingView reached the Top 500 Websites in the World, a prestigious ranking by Alexa which makes it more visited than websites like CNBC, Wall Street Journal, MarketWatch, Reuters, The Economist, Motley Fool, Investopedia, TechCrunch and a bunch of other gigantic businesses you’ve probably heard of. 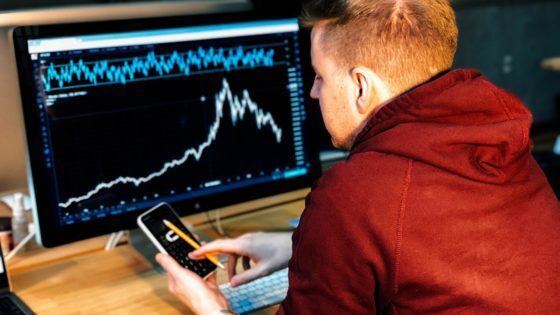 With such an enormous traffic, the TradingView Chart must necessarily excel in terms of simple user interface, ease of use and powerfulness of its features. 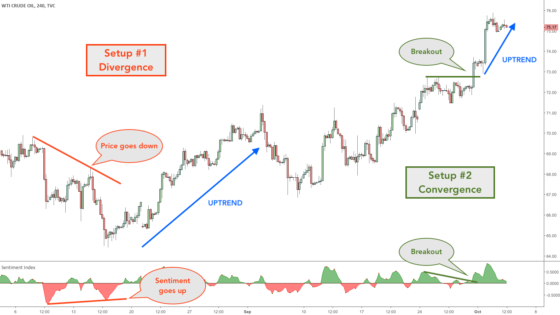 In this article, you will understand all the characteristics of the TradingView Chart, in order to exploit it like a Professional Trader. The following image represents a standard TradingView Chart with its 5 key areas highlighted with red rectangles. Let’s begin with the first one! The Drawing tools area is vertically positioned at the left of the chart. It is the most important area for any Technical Trader because there you can find all the essential drawing tools to empower your chart. Just to name a few, there you can find trendlines, text tools, Fibonacci levels, Harmonic Patterns, Elliott-Wave tools. In fact, TradingView constantly improves their features and adds new tools, listening to the requests of the whole Trading Community. At the top of your chart, you find a key area which is partially customizable depending on your personal preferences. In fact, you can quickly access to different timeframes, indicators or even full templates (custom charts automatically displaying multiple indicators of your choice). From there you can also select different candles, including bars, standard candles, Heikin Ashi, Renko, Kagi, Point & Figure and more. Moreover, you can create alerts which will trigger when your desired conditions are met, select multiple layouts in order to split your screen into multiple charts or, lastly, take a screenshot of your chart. A Watchlist is the most convenient way to keep your preferred assets under control. It is also a way to go through your trading hours with a limited list of symbols which you need to keep under your radar. In fact, creating and updating a Watchlist is an essential step for an effective Trading Routine. On TradingView you can create multiple Watchlists, each one with an unlimited number of symbols in it. For each symbol, you can then see its last price and the daily change, both in absolute points and percentage. The Community Tools can be found at the very right of your screen and can be accessed by clicking the small icons positioned vertically. There you can find multiple features like the Economic Calendar, the Data Window and the Hotlist, not to mention Trading News and the ability to manage your Alerts. In fact, you also find all the social elements to interact with fellow Traders in the TradingView Community. For instance, you can interact in the public TradingView Chat or you could have a private conversation with your friends. Moreover, you find your Notifications and you can read your personal Ideas Stream where you find the ideas published by the top traders you follow – by the way, be sure to Follow our account! 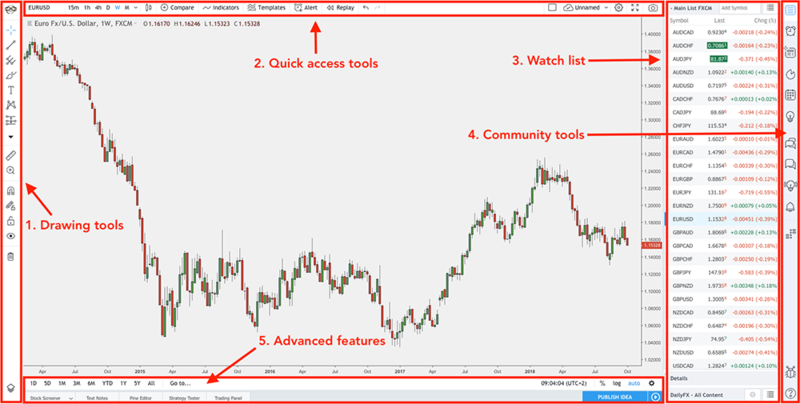 The last key area, at the bottom of your screen, offers all the most Advanced features for Pro Traders. This area includes the Stock Screener, as well as the Forex Screener and the Crypto Screener. Additionally, you find the option to add text notes which will be linked to the chart so that you can have multiple notes, each one for each different symbol. There you can also use the Pine Editor if you’re a developer and you create indicators just like our popular Trading Indicators for TradingView! Moreover, you can do your own testing for your preferred strategies. Last, but not least, you find the Trading Panel which you can use to link your Broker and trade directly from the TradingView Chart!